But most freelancers would find it hard to reconcile Mr. Boyd’s nasty vision of hyper-individualism with their lived reality. The most successful freelancers are those who are surrounded by strong supportive networks. They have long lists of contacts who they rely on to source clients and recommendations, and colleagues who share tips and parcel out work. And when things become truly desperate, freelancers don’t resort to mugging fellow solo workers. Nor do they do as as Mr. Boyd enthusiastically encourages them to and “step over the other homeless guy and take his can of Special Brew.” Rather, they’re likely to ask a colleague for advice, a bit of work, or a helpful connection. Freelancers exist inside invisible webs of mutual support. There is power in cooperation. This is something demonstrated by the very archetypal capitalists that free market fans lionize. The most successful corporations in the world long ago learned the value of clubbing together to protect their interests. They pour vast resources into creating joint lobbies. Rival firms link arms with each other through industry associations to pressure governments for even more concessions and corporate welfare. Having realized the lie of hyper-individualism, and taking lessons from corporate lobbies, today’s forward-thinking freelancers are joining together to create new structures of mutual support and advocacy. Around the world, freelancers are forming a movement through associations, organizations, action groups and even proto-unions to advance their collective cause. 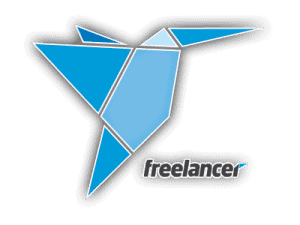 Today there are official organizations representing freelancers in six European countries and the United States. And there are even more unofficial campaigns and online actions, such as those bringing interns together to fight against exploitation. 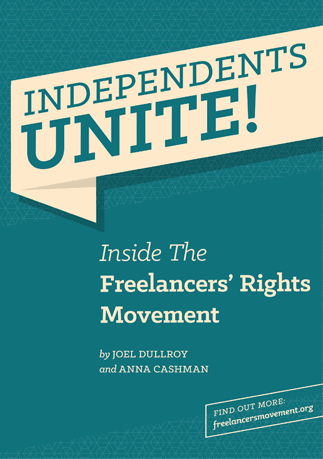 The most advanced strand of the movement is the Freelancers Union in New York. Though not an official union, it has gathered a member base of over 225,000, built its own health insurance company, and lobbied for tax relief for independent workers. In Europe, freelancers’ organizations from different countries are joining together to create an EU-wide campaign to demand improvements in independent working conditions, such as access to funding and fair contracts. A symbiotic trend is the rise of coworking spaces, which are shared offices where individuals go to work alongside one another. This again demonstrates the freelancing demographic’s rejection of hyper-individualism, and an embrace of collective problem solving. When taken together, the emergence of the freelancers’ movement and the growth of coworking reveal that the true ideological foundation of sustainable freelancing should not be neoliberalism, as Mr. Boyd suggests, but anarcho-syndicalism. Anarcho-syndicalism envisages society of individual workers who join together in cooperative workplaces to produce goods and services, linking across the economy through networks of workplaces and industry councils. Neoliberalism was indeed the political credo that started flexibilizing the workforce from the 1980s onward. But it won’t be the philosophy that provides the support and security individuals instinctively search for in the long-term. It contains too many intrinsic logical flaws – as experienced by well-networked freelancers. (Indeed, society as a whole has experienced the flaws of neoliberalism in the financial crisis, which saw the banking industry collapse into the arms of governments in their moment of failure). The author of this sickeningly selfish article might score points with the Ayn Rand fan club, but in over-emphasising his point he also reveals the paucity of the vision offered by hyper-individualism. No one is an island, and even islands are sustained by interconnected ecosystems. Don’t forget that Margaret Thatcher – who Mr. Boyd lovingly quotes – was a member of the very-well-connected Conservative Party, not an independent MP.